When legal troubles find their way to your front door or times get tough and your future seems uncertain, it’s vital to have an attorney you can depend on. Robert A. Rush, PA and his team of qualified legal assistants work hard to help residents living throughout the Gainesville, FL, area receive quality legal representation. Established in 1988, this law firm works hard to ensure their clients are treated fairly by the justice system. 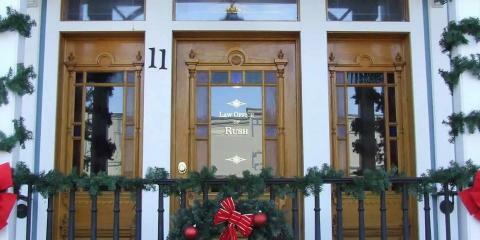 Offering full legal representation for trial-by-jury cases in a variety of areas, attorney Robert A. Rush fights for the rights of each client and works hard to get them the best possible outcome. Unlike many lawyers who also practice in the region, attorney Robert A. Rush is proud to say that he is one of only four attorneys in the state who is Board Certified as an expert and specialist in both criminal trial law and civil trial law. With this impressive credential, he specializes in helping individuals facing a civil or criminal trial. When you choose this law office, you are choosing an attorney with in-depth knowledge of the court system and the skill required to represent clients facing criminal charges brought against them. Whether you’re dealing with drug charges, grand theft auto, burglary, or something far greater, Robert A. Rush will work hard to uncover the facts to ensure you receive the outcome you deserve. When you need an experienced attorney who will fight tooth and nail for your rights, turn to the law office of Robert A. Rush, PA. To speak with a member of the legal team, call (386) 462-7777. For more detailed information regarding this firm and its areas of specialty, visit them online.